If custom motorcycles were to compete on a fitness and performance level, Axel Budde would be an excellent personal trainer for them. From his Kaffeemaschine workshop we have witnessed the lean and performance-boosting transformation on a number of Moto Guzzi’s. Axel Budde may be best known for his Guzzi transformations, however it is a welcome change to see the Guzzi Master join forces with KEDO the Yamaha SR/XT Specialist. Budde and KEDO have plenty in common, both are from Hamburg, Germany and both strive for premium quality and they believe in “Hanseatic” understatement. 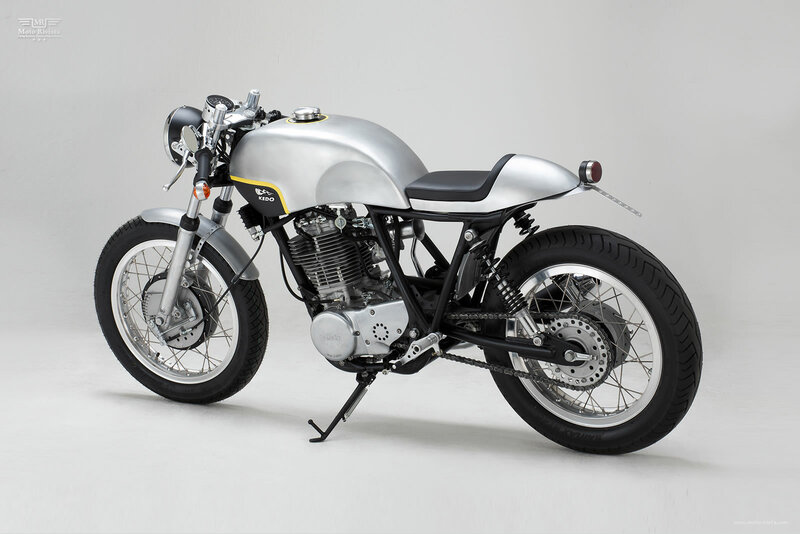 Together they have now launched an innovative customized Yamaha SR500. Budde, owner of the workshop “Kaffeemaschine”, favours a minimalist and lean appearance. He was very excited about this challenge. 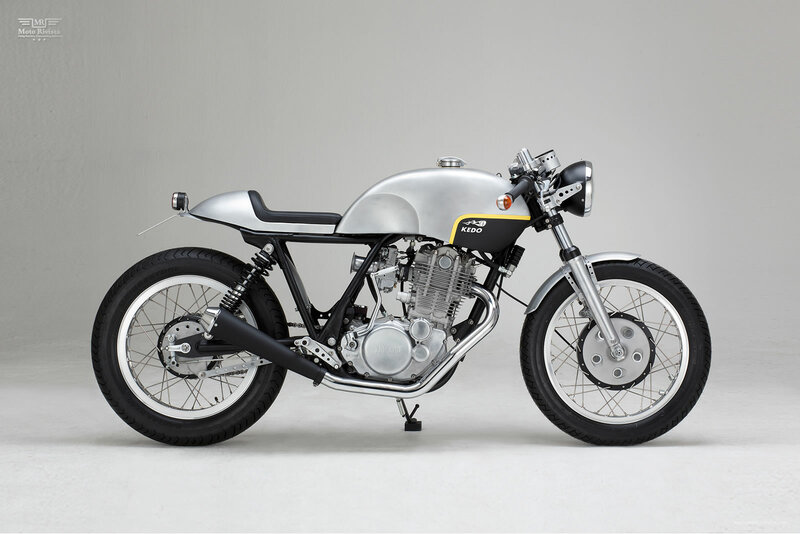 “The Yamaha SR500 has been a well established motorcycle for more than 35 years so almost every imaginable conversion already exists. 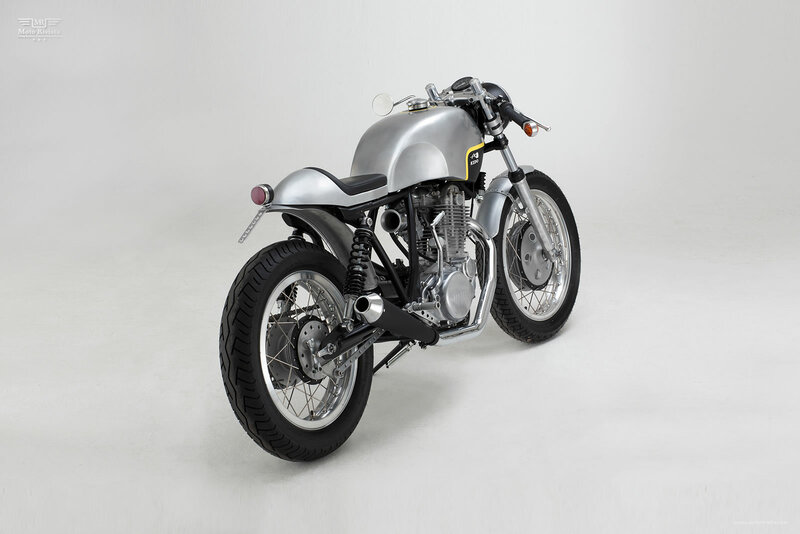 However, I am yet to see very few properly coherent SR Cafe Racers.” says Budde. To avoid any compromises right from the beginning, Budde started by designing a new aluminium tank/seat-combination. Also Budde slimmed down the frame and all attachment parts. Practically every part was lightened or replaced with a handcrafted original – or left out completely. The outcome is an elegant, almost delicate conversion in the style of the late 1970s. The “Mezzomille”, loosely translated from Italian it means something like “half thousand”. With scarcely 130kg dead weight and almost 40 HP this Yamaha SR500 custom “Mezzo” promises agility and pure riding enjoyment. Because of its time consuming and uncompromising style, this motorcycle will have to remain the only one of its kind. The build time alone was over 350 hours. The parts that were included in its creation, however, can be found in the new KEDO catalogue that was out in mid March this year.